The Independent Hotel Show in London is one of the most comprehensive business events for the luxury, boutique and independent hotel sector. The event is comprised of a curated exhibition of over 300 suppliers and brings thousands of hoteliers together to network and share innovative ideas. 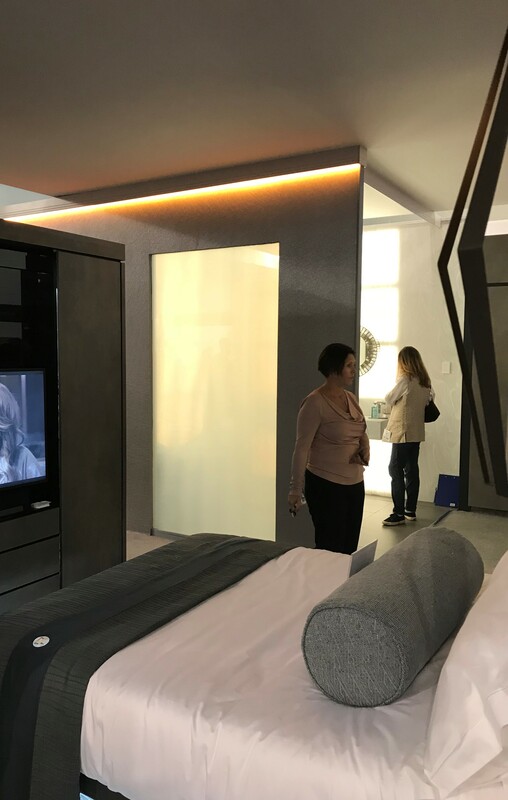 This year Smartglass International were proud to be selected to work alongside the well-established interior designers, Nicholas Sunderland and Gilly Craft of Two’s Company on their “Hotel Room of The Future” exhibition. 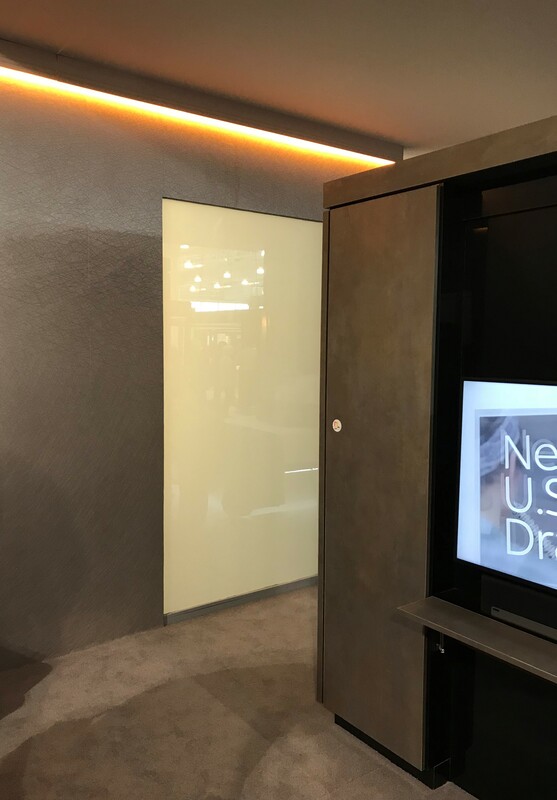 Our UL approved Switchable Privacy Smart Glass was included in the design of the hotel bathroom. 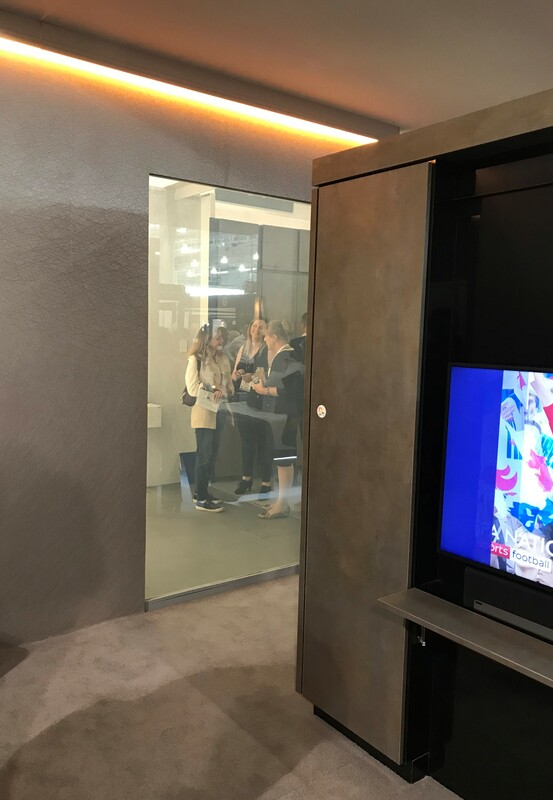 The use of privacy glass in hotels is becoming more common as designers aim to incorporate innovative technology and versatile solutions for partition screens, doors and windows into their designs. 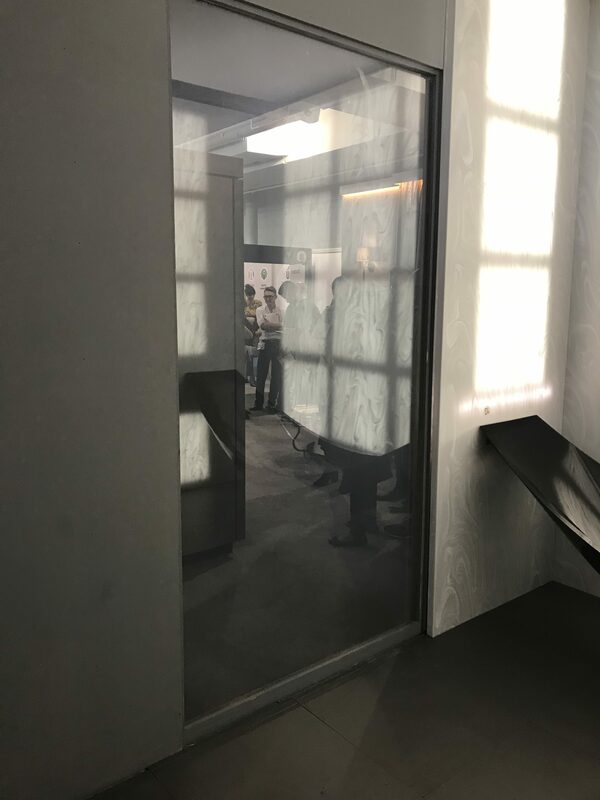 Incorporating switchable glass in the design of a hotel room allows for more natural light to enter the room, maximises the space and helps make the guests feel more comfortable. 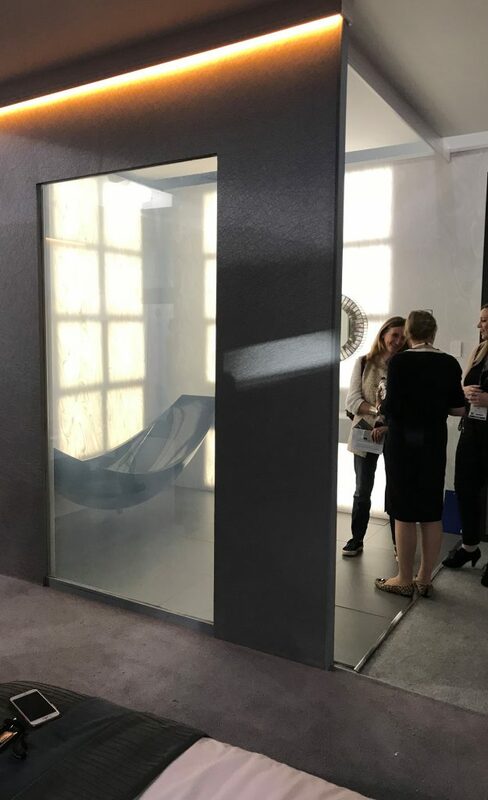 Privacy glass switches from opaque to clear in 0.01 seconds and can be controlled and monitored by wall switches, remote controls, motion sensors and timers. 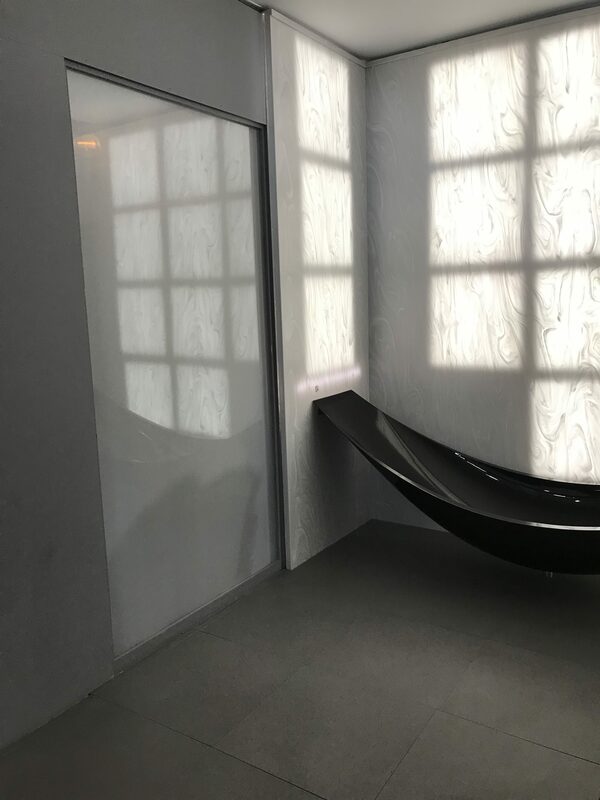 By carefully researching and selecting suppliers to work alongside, Two’s Company were able to design and create a room that is a perfect blend of comfort and elegance, with a style that is unique and individual. We are delighted to have been part of this exhibition and can’t wait to see the future designs Nicholas and Gilly come up with! Check out our other hotel projects here. 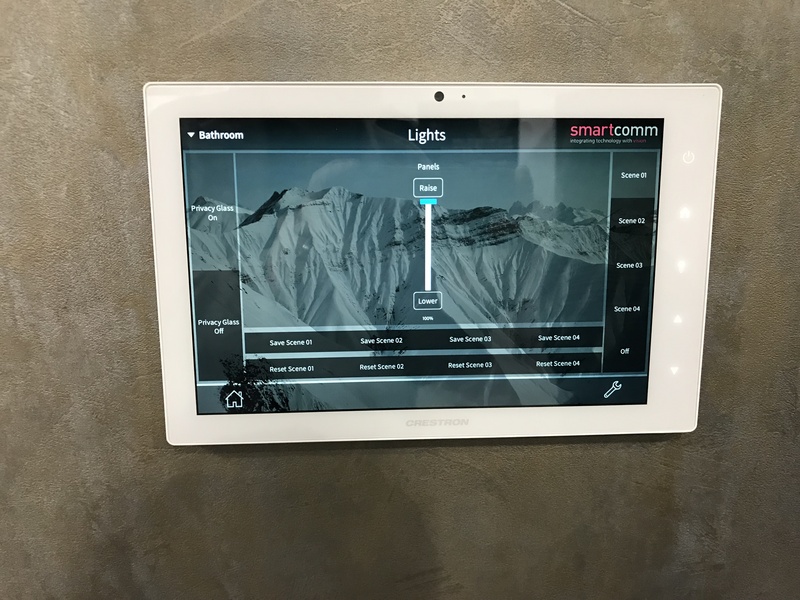 This entry was posted in Smart Glass News. Bookmark the permalink.